Winter time is a great time to build a boat! 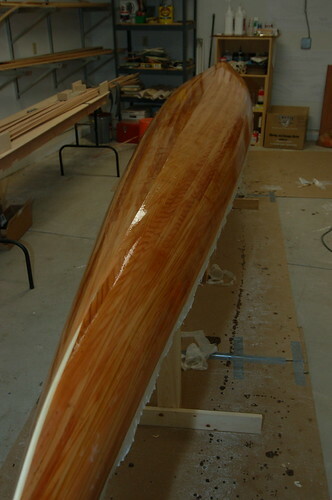 We have a 17′-6″ cedar strip kayak underway in the shop, shown here just after the hull was fiberglassed. Click on the photo below to see a slideshow with the most recent progress.